As I was about to stand up to speak last Friday at A Reason to Stand I was praying for a miracle. For weeks, every time I had gone to prepare what I was going to say my mind had drawn a blank. Even on the drive to Ogden I had little come to me—as I usually do—on what I was supposed to say. I had spent hundreds of hours interviewing prospective presenters, typing up the programs, reserving the location, and collecting everything we needed to make the weekend a success . . . but I couldn’t even prepare for my own talk. It is a little nerve racking emailing presenters to get their stuff together when I myself felt unprepared, but I continued to feel a void of thoughts whenever I would try to piece together my speech. On Friday, as I stood to begin, my mind was filled with memories . . . When I was about 9 years old I tried out for a play. I spent hours practicing my song and preparing my monolog. I was prepared. I got up in front of the judges and gave it my all. I sang with all my heart and had plenty of attitude as I belted out my memorized monologue. Nine years old. It had taken all the courage I had to go and try out with all my anxious-to-be-a-star friends. I didn’t like to perform. I didn’t care about being on a stage. I just wanted to be with my friends. I had a hard enough time finding my confidence to even walk through the door that day . . . and now I had been put down for something I could not change. Bitterness entered my heart in a way I had never felt it before. A feeling that nagged at me during my parents divorce the year before, settled in my mind again as a new found truth. I wasn’t good enough. I wasn’t good enough for him to just merely compliment me on what I did do. I wasn’t even good enough for him to sit quiet and just let me walk out the door with my continued hope that I would be chosen. I didn’t make any of the parts . . . apparently they were looking for a little girl—who didn’t sound like she had just smoked a joint—to play the main role. I remember from then on, anytime I was asked to sing or perform on stage I said no. I was happy to be a back up singer or in a large choir, but my days of singing solos would forever be done. I no longer saw my gift to sing as a blessing—I heard my voice as curse. A few times I remember watching old home videos and hearing my “smoker's voice”. In my embarrassment I would turn it off. Little did that judge know, all those years ago, the impact his words would have on me. He probably hasn’t thought twice about asking a little 9 year old girl if she had a cold, or even remember being the bearer of the fact that her voice was raspier than most. The very voice I have been able to use to share about the truths I have learned is the same voice that has almost always tried to stop me from speaking on a stage at all. As I shared that story I thought about all the times I have been that judge. How many people have walked around with silent scars because of something I said . . . or didn’t say when they needed it the most? We cannot wait around for others to come and make us feel whole, but we can seek out opportunities to be just that for someone else. It was on that stage last Friday that I was taught a truth even greater than the feeling of being enough for myself and my God. I thought of all the times when I have stepped outside my need to feel like I am enough and help someone else know that they are. Healing doesn’t come just from acknowledging the truth that we are enough the way we are. True healing comes from using the gift of empathy to help someone else feel complete. I remember a girl long ago who was different. She didn’t have light hair like me and my friends. She didn’t wear the same size jeans—like we all did. She was way taller than any of us. She just didn’t fit in . . . and even if she would have tried, we wouldn’t have let her. One day at a girls camp, we had just spent the hour in our cabin rummaging through this girl's stuff, taking pictures of ourselves in her clothes and making fun of everything in her bag. I walked out of the cabin to go to the bathrooms. I could hear someone a little deeper in the woods . . . it sounded like crying. As I got closer, I found it was her. At first I was worried she had seen what we had been doing—and I was going to be in trouble—but as I found a tree to hide behind and listened to her sobs I was overcome with remorse for the pain I had caused. She was crying . . . because of me. From then on I was this girl's friend—but not because I was a good person and helped her when no one else would—because I had seen her pain. I had felt what she was feeling. She wanted to be part, even though she was different. And so did I. The pain and fear I had felt as I rummaged through her bag . . . trying to be part of the other girls—she had to feel all alone in the middle of the woods. I learned a valuable lesson that day as a little fourteen year old girl. Everyone wants to feel part of something. Even the ones who pretend they just want to be left alone . . . still feel the desire to be seen. We all have fears. We have all felt abandoned at one time or another. We have all waited around for someone else to make us feel whole . . . but the truth is, until we can see that desire in someone else and help them complete that emptiness . . . ours will continue to weigh us down. I know people came on Friday to hear about a story. I could have told them dramatic tales about a gun, or three people’s decisions. I could have told them about a fear that took over me for 2 years. It would have been easy to speak about a night that left me at the crossroads from hell . . . stranded and abandoned and humiliated. But this time was very different. I had no desire to talk about the pain—because it is starting to be a distant memory. Most days, I am starting to feel whole. I know my life is never going to be the same, and there will be triggers that I cannot control . . . but I can finally see beauty. Every single day. Not in the way the world defines glamour and looks. I see beauty in the imperfect past that is mine. I see beauty in the uniqueness of being me, and I see beauty on the broken paths that have lead me here. Beauty in life doesn’t come from the time we spend being victims. It comes from helping other victims find the way out of their struggles and pains and showing them how to survive. We become survivors as we break the chains of victimhood. So maybe your journey has you labeled as a victim. Maybe your pain has been so magnificent you can hardly see past it. Maybe the world has reminded you of your “smokers voice” in every aspect of your being. Maybe you are told every night—by someone you love—that you aren’t enough for them. We all have something that makes us unique—something that no matter how hard we try . . . will always be with us. For some of us, that is a past that has hurt. For others, it a “smokers voice” that has held us back from playing the lead role in our own life. What if we lived in a world that wasn’t about molds and perfection? What if we celebrated our differences and helped people see their worth through what made them stand out? Are we all supposed to look the same, sound the same, and be the same? Were we all meant to follow the same journeys and live the same lives? Or were we made to shine through our differences? Some things in this life we can change. Our hair, our clothes, our friends, the way we treat other people. But there are some things—no matter how hard we try—that will always be the same. We can never change the past. We cannot control other people’s choices. We cannot make someone love us. We cannot force others to help us feel seen. I am finally in a place in my life that I can laugh about my smoker’s voice. I don’t give it any thought that I didn’t make the lead role in a play twenty-three years ago. I will never change my “smoker voice”, and that is ok. I am me. 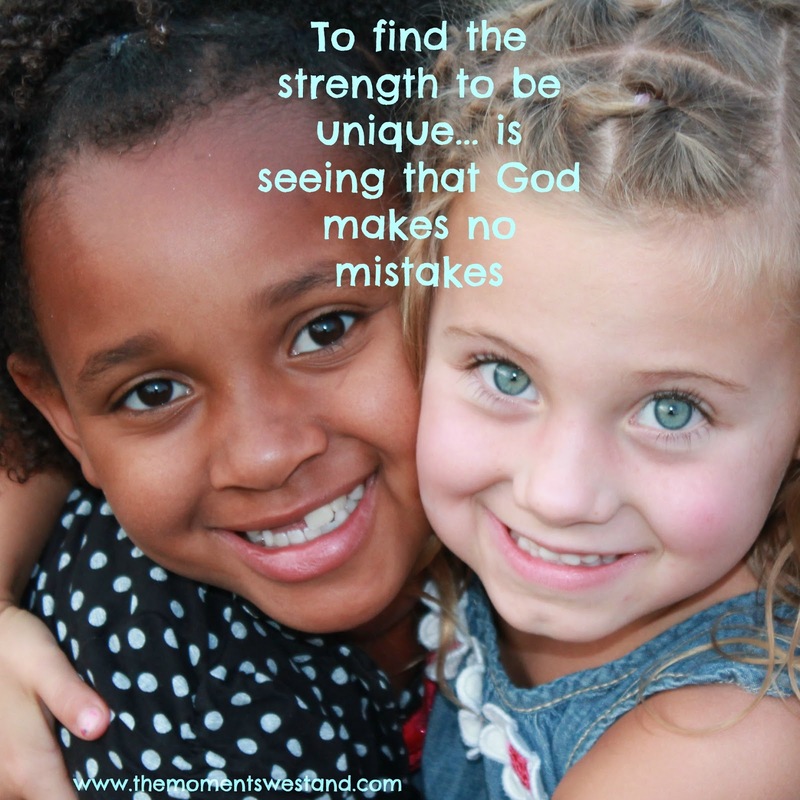 To find the strength to be unique is seeing that God makes no mistakes. He didn’t create us to all be the same. He sent us down to shine. So smoker's voice and all, I . . . Ashlee Ann Birk . . . am beautiful. And so are you. Just the way you are. Get up every morning. Spend a minute highlighting your features in a way that makes you feel physically beautiful. Take one last look in that mirror. Then look away and use those same eyes to search for something broken that needs to be told how beautiful they are. Don’t get stuck in your victimhood. It is a trap. Spend your days surviving the past by finding the broken and unseen. I wish I could say there was an easier way. I wish I could say that once we forced our husbands to say everything perfectly, and in the way we needed . . . we would find happiness. I wish I could say there was a magic pill to swallow to make us that handsome prince our wife says she deserves. But the truth is . . . no one else can define who we are. Only we can decide to see ourselves as beautiful. Only we can change our view from one that looks inward and around searching for others to complete us—to one that looks up and asks God to lead us to one of His children who isn’t able to see at all. We won’t be seen, until we use our eyes to see. Listen for the smoker's voices who are silently pleading for reassurance that they are enough. Even the ones who may act like they don’t care—want to feel like they belong. We all belong to the same family. 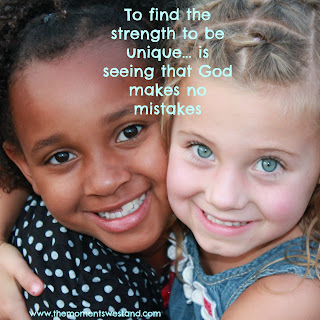 Religion, skin color, race, hair color, eye color, and the continent on which we live may make us believe we are different or better than another. But we are all sons and daughters of a creator. And He sees our uniqueness as the beauty that makes us who we are. We have been given much. And because of our blessings, we have so much we can give. There are faces everywhere just waiting to be noticed. Look around, with those beautiful eyes and find them. Some may be in the walls of your own home, others are on an island thousands of miles away. But we are all the same—unique souls hoping to find happiness inside our own skin. In Case you missed theses beautiful ladies in Ogden!! My son also has a "smokers voice". He is in 4th grade and often gets teased because of it. When he was 10 months old he was on life support and the tubes in his throat cause scars, which have cause his "smokers voice". His Doctor has recommended surgery to remove the scar tissue & hopefully improve his voice quality. I can't help but realize how ridiculous it all is. Why put a child through a painful surgery just to make him life everyone else. My son doesn't really care & has been an amazing boy. I figure he will be stronger and more resilient with his "smokers" voice! Thanks for sharing!! The conference was just what I needed. Thanks for sharing your heart with us! Your girls' camp story made me tear up--I was that tall, shy girl with no friends at camp when I was 13. Looking back I know it was more my fault than I could recognize at the time, but some of the girls read my journal and when I found out about it I couldn't stop the storm of sobs. But I noticed after that that a few of the girls made efforts to be nice to me after that. I didn't know enough to thank them then, but I just want to thank you for being that girl's friend! I know what a difference it must have made to her. Ashlee, this was great and thanks for sharing! Last Friday was really a good experience for my sister and I (Tawni's cousins). Thank you for your bravery in using your experiences to help uplift and encourage others. The conference you put together was amazing! I was only able to attend Friday :( but I loved every minute of it!! You are amazing and such an example! !